Trees may turn golden for reasons that have nothing to do with the onset of autumn: Eucalyptus trees can hold grains of gold, potentially helping reveal buried treasure, scientists now find. Many plants root deep into the Earth, drawing up nutrients and minerals they need for life. Researchers hope this fact could one day help miners unearth gold, especially since discoveries of new deposits of the precious metal have dropped 45 percent over the last 10 years. Scientists in Australia focused on eucalyptus trees, since traces of gold are sometimes found in soils surrounding these plants. 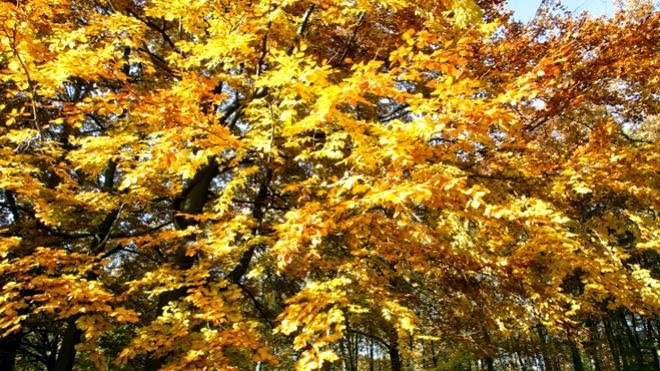 However, researchers were not certain until now whether trees could actually absorb the precious metal from underground deposits or if the wind simply blew gold dust there from other sites. Now one group has discovered the first evidence in nature of gold particles located within living tissue from trees. Researchers investigated leaves, twigs and bark of eucalyptus trees up to 35 feet tall from two locations in Australia one in the west, another in the south. Past exploratory drilling revealed these sites had gold buried underground, but the areas were undisturbed by further mining activity that might have contaminated the trees with gold dust. X-ray analysis revealed gold particles up to about 8 microns wide in cells from the trees, or about 10 times thinner than the average human hair. Field samples and greenhouse experiments suggest these gold particles which exist at concentrations not harmful to the trees are absorbed by the roots and transported to its extremities, such as leaves, where the highest concentrations were observed. These findings, detailed online Oct. 22 in the journal Nature Communications,suggest the trees could tap into gold deposits up to 115 feet below them while searching for water under drought conditions. 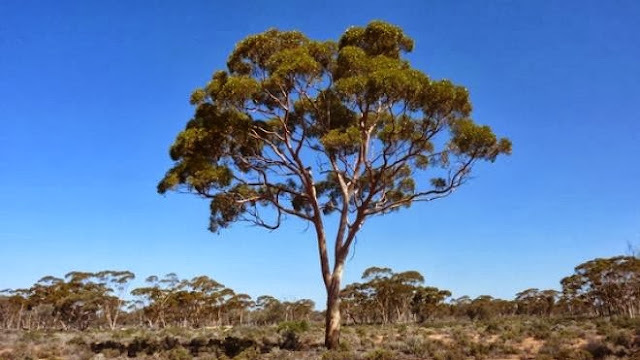 "We were astounded at the capability of the eucalyptus trees to bring up gold from the equivalent [height] of a 10-story building,"study lead author Melvyn Lintern, a geochemist at the Commonwealth Scientific and Industrial Research Organization in Australia, told LiveScience's OurAmazingPlanet. The researchers are not proposing mining these eucalyptus trees for gold, Lintern cautioned. "The amount of gold in the trees is extremely small. You would need 500 trees or more growing over a gold deposit to have enough gold to make a ring." Instead, eucalyptus trees could help miners identify where deeply buried gold deposits might be located and therefore avoid wasting time, money and resources hunting for the precious metal over vast tracts of land, Lintern said. Read now: What is the future of technology in education?